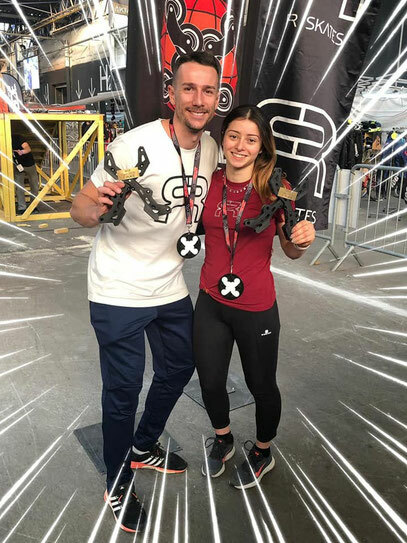 First international victory 2019 for Florian Petitcollin (Fra) and Alice Delfino (Ita)! 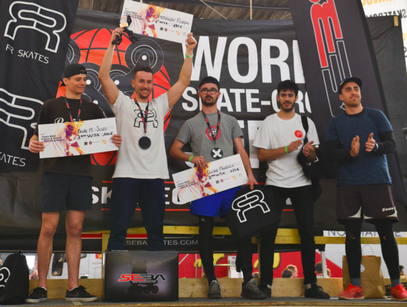 2019 WSX international season started with the first two stars event, which was held in French Caen on February 23rd - 24th. 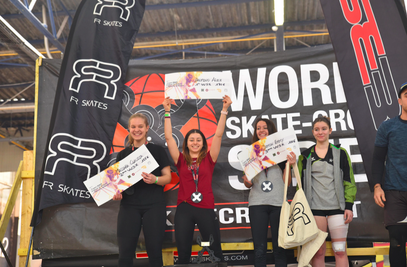 All the skaters challenged each other for the first place, doing their best to go till the big final, in 3 races, the French cup, the international WSX and a Dirt cross. Florian Petitcollin (Fra) who was leading the WSX world cup standings in 2016 and 2017, got his first victory of the season. He was the fastest during the qualifications (17,262 sec) and won all his races, including the big final, repeating his result from WSX Caen 2017! With the second best qualification time (18,010 sec), Maxence Clusaz (Fra) was the fastest during all his runs, except the big final where he finished 2nd. Jules Favre Mercuret (Fra) did his best to go till the final where he crossed the line after Florian and Maxence, taking the third place. Lucien Hugues (Fra) was the fourth of the final race. F.Petitcollin won also the French cup race and the Dirt Cross race, for a perfect week-end. The World Champion 2018, Alice Delfino (Ita) showed an excellent result, performing the best qualification time (19,213 sec) and winning all her races, including the big final! Claudia Massara (Ita) went up from the 7th qualification time directly to the second final place! French Emmy Simon and Ornella Faria were fighting for the third position of the big final. Emmy Simon was fastest this time, taking the 3rd place and leaving Ornella Faria on the fourth position. Francesca Conzi (Ita), the best rival of A.Delfino, got he victory in the Dirt Cross, and as well in the French cup, but took only the 5th place in the WSX 2 stars race.